We’ve all had this problem before. You go to brush your teeth or use the kitchen sink and next thing you know water starts pooling up more than it’s draining. The majority of you will simply let it go until it becomes a full blown clog because let’s face it, no one likes to deal with plumbing issues. We’re here to tell you not to do that! The longer you wait the more damage that can take place and the more expensive it will be to correct it. So, take a look at this following list of Tips to Speed Up Slow Drains. Use a good old fashion plunger! Slow drains tend to mean that there might be some buildup happening in the pipes. Sometimes all you really need is to take a good old fashion plunger and get to work! Sounds simple enough right? It is! No need to put off something that takes two minutes and end up paying for expensive repairs because you decided to let a little buildup get out of control. After plunging your sinks, tubs, or whatever drain seems to be giving you problems, make sure you take a look at our Guide To Protecting Your Drains. This way, you prevent future clogging. and baking soda clear any minor clogs or buildups you may have for 15 to 20 minutes. Afterwards, flush the drain with hot water. If you have a septic system and it’s been 2 to 3 years or more since your last pump-out, you may need to give us a call. One of the first tell-tale signs of a septic tank that is due for service is slow draining. 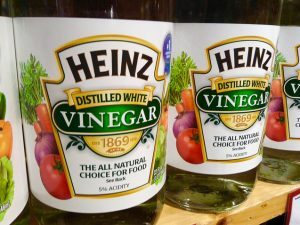 No matter how many times you do the baking soda and vinegar trick, how often you plunge your sinks, or how much drain cleaner you use, you will continue to have slow drains. This is because the septic tank is near capacity. Just give our professionals a call before something worse happens, such as septic tank backups. We highly recommend you stay away from chemical drain cleaners. Especially if you have a septic system. The reason is because the chemicals in your typical drain cleaner does more harm than good by eroding pipes and destroying the bacterial process in your septic tank. We do recommend that you invest in a natural bacterial treatment for your drains and septic system. It not only allows the natural breakdown of solids in your tank and keeps it healthy, but it will also break down any clogs or buildup in your drains. Check out our highly effective BioOne Formula known to clear up any clogs or slow drains in a matter of minutes. 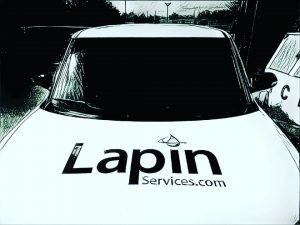 For any plumbing or septic problems you run into, be sure to know that you can Make it Happen with Lapin! Give us a call and schedule your next service today!